Why should you start a business in Southampton? One of the major tourist and business hubs on the South Coast, Southampton’s status as a busy ferry port (it’s known as the “cruise capital of Europe”, playing host to some four million visitors a year) means you will have no shortage of foot-fall as a retail or consumer-facing business. High-tech and science businesses are also particularly suited to Southampton – the Solent zone is home to a rapidly growing cluster of such ventures, with world-class support and expertise provided by the University of Southampton. Its reputation as the cruise capital has also seen the city become a great location for international trade. An earlier FedEx report cited Southampton as one of Britain’s lesser-known “export epicentres” for having one of the highest export rates of any city; 81% of small businesses in the area trade overseas. The city is also a key supporter of science and tech start-ups. Every year the University of Southampton Science Park run an incubator programme – named Catalyst – which offers residence, advice and a £1,000 equity-free cash injection to early-stage businesses in science and technology. The city also benefits from close links to London, with the capital around an hour and a half away by train and car, and Southampton Airport Parkway offers close access to destinations further afield. The port’s ferry links also mean that cheap access to Europe would be right on your doorstep as a business, with various services to France operating regularly. For its size, Southampton is a major university town, with two institutions – the University of Southampton and Southampton Solent. The University of Southampton is well-regarded globally, ranking consistently in the top 75 internationally and a member of the prestigious Russell Group, so you should have a good local talent pool to dip into as a start-up. The University’s facilities and programmes will be of particular interest to tech, digital and science businesses – it has a range of enterprise units for business, dedicated to sectors including IT, geodata and computer science. These units provide access to the University’s facilities and research for businesses in those sectors – so if your industry is represented, you will have recourse to world-class expertise virtually on your doorstep. Labour costs are about average for the region, at £498 per week, and 54,900 (32.4%) of the population have NVQ Level 4 qualifications or above – so whilst there is a decent education environment, it would appear that graduates don’t remain in the city. Thus, making it harder for new businesses to attract skilled talent. Southampton is home to the Solent Growth Hub LEP, which supports businesses in a wide variety of sectors including professional and financial services, creative and digital, engineering, marine and tourism. Its website can help start-ups narrow down the grants, support and funding available for their sector, as well as helping to find business premises. Face-to-face support is also available through various business networks and a programme of events, which can be found again via the website. Located on the coastal area between Portsmouth and Southampton, the Daedalus Solent Enterprise Zone is home to a rapidly growing cluster of high-tech manufacturing businesses, in addition to the largest concentration of marine and maritime-related businesses in the UK. As with other enterprise zones, businesses are offered a range of financial incentives to locate to the area, including a discount on business rates worth up to £275,000, preferential access to Regional Growth Fund and other support, and potentially a share of the Solent LEP’s £2.9m Advanced Manufacturing Expansion Fund (more on this below). A large amount of space has already been given the planning green light for business and retail use, so the Solent Enterprise Zone should be high on your list if you want to build from scratch. In terms of accelerators, the city has SETSquared which is a partnership between the universities of Bath, Bristol, Exeter, Southampton and Surrey, and member businesses can access a good range of support, including mentorship, strategic advice, international market access, and business partnerships. It is a well-regarded programme, and places are limited to knowledge-based businesses with an idea displaying high commercial potential. The programme includes managed office space in its cost. There is a good supply of office space in the city centre generally, with total available supply standing at some 563,000 sq ft in the third quarter of 2013. Rents are fairly affordable at £18 per sq ft on average. The University of Southampton Science Park offers laboratory and office space for science businesses, and more general space can be found at Solent Business Park and Chalcroft. For freelancers and smaller start-ups, a co-working space has just opened in the city. Venture Coworking, located in the southern part of the city centre in the Ocean Village Marina Complex, offers virtual office services in addition to its collaborative and serviced office space. Whilst direct grant schemes are somewhat scarce in the city as a whole, advanced manufacturing businesses located on the Solent LEP can apply for a share of the Regional Growth Fund-backed Advanced Manufacturing Expansion Fund. This fund will provide match funding of up to 20% of the cost of projects from companies within the sector, with grants in the range of £100,000-£1m. This fund appears to have closed, but you can check on this page to discover future funding opportunities for your business. The Catalyst Centre is an initiative by the University of Southampton Science Park which provides mentoring, office space and £1,000 towards business expenses to the winning science or technology start-up. With the Bridging the Gap programme finished since 2012, businesses in other sectors are out of luck when it comes to grant funding currently, although national funding schemes are of course still available. The main angel network in the Southampton/Hampshire area is Angels 5k, although it is relatively modest, with 30 angels and only around £1m invested to date. Generally, Southampton has good start-up rate with 1,385 businesses launched in 2015, an increase on 1,035 in the previous year. The survival rate for businesses in the city between 2010 to 2015 was an average 37.1%. House prices in the city are reasonable when compared to equivalent areas, at £199,074 on average according to the Land Registry Index – a significant increase on the £157,914 the year before. Yet the levels of crime in the area are very high and have continued to rise year-on-year, an important fact to take into account if you’re considering launching a business in the area. In last year’s report, we recorded 90 crimes per 1,000 population but this has since gone up to 102.45 crimes per 1,000 residents. After Manchester, Southampton has the highest crime rates of all 25 cities in our index. Southampton has more passenger ships departing its port than anywhere else in the UK and plays host to more than four million visitors a year. 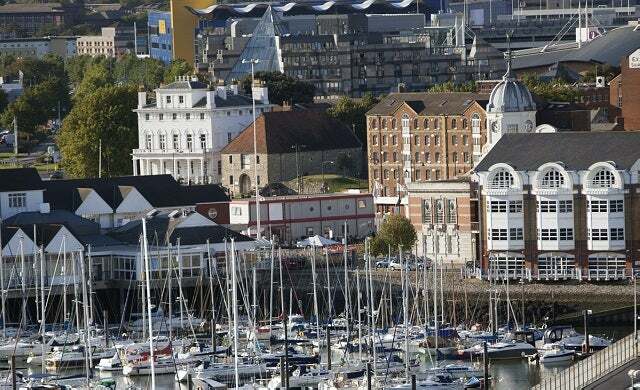 The tourism industry means the city is chock-full of museums and attractions, amongst them the Solent Sky museum, Southampton City Art Gallery, Southampton Guildhall and the historic Old Town. The city also borders the New Forest national park, and the myriad diversions of London are a comparatively short drive away. A first-hand account from an early-stage start-up on what it’s like to start a business in Southampton and what the city has to offer new entrepreneurs. You can also gauge insider opinion on what more Southampton needs to do to accommodate start-ups. 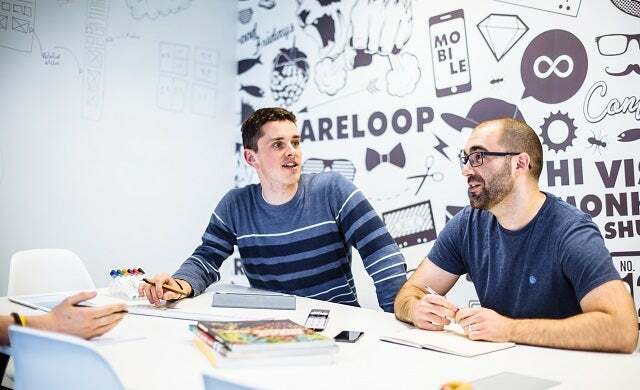 Website and app design company Rareloop on why Southampton has a “healthy balance of competition and collaboration”.